Do more, see more, learn more. Sheraton is dedicated to innovative, enriching and unexpected travel experiences. Wherever you go, whatever you do, Sheraton makes it possible. Please note, purchases from Sheraton will track as "Marriott". Cashback is not available on specially negotiated rates inclusive of customers that are affiliated with or employed by a particular company or organization to receive a special rate (e.g., corporate rate, government rate or the Marriott employee rate), Cashback is not available at special negotiated rate for Marriott Rewards members (e.g. Rewards offer discount, Rewards offer package), with the exception of Marriott Reward Member rates. Cashback is not available on rooms that are booked or upgraded and paid for using redeemed Marriott Rewards Points. 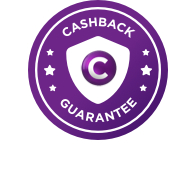 Cashback is not available on the following brands: (Ritz-Carlton Destination Club, Design Hotels, Bvlgari) Cashback is not available at the following properties: (Atlantis, Autograph Collection, Bvlgari Hotel, London, Joshua G.E. Medical Corp. Conference Center, Jesse Jones Rotary Conference Center, Marriott Ranch, Protea Hotel Amani Beach, Protea Hotel Mbweni Ruins, The Ritz-Carlton London, U.S. Postal Service Conference Center, Four Points by Sheraton Havana, The Cosmopolitan Las Vegas, Autograph Collection). Rewards will not be paid if used in conjunction with Marriott's Look No Further Best Rate Guarantee, or any pricebeat/pricematch offer. Rewards will not be paid on any expenditure outside of the base accommodation rate. (i.e. room service, in-room movies, parking, dry cleaning, etc).